Snap into the Next-Generation! 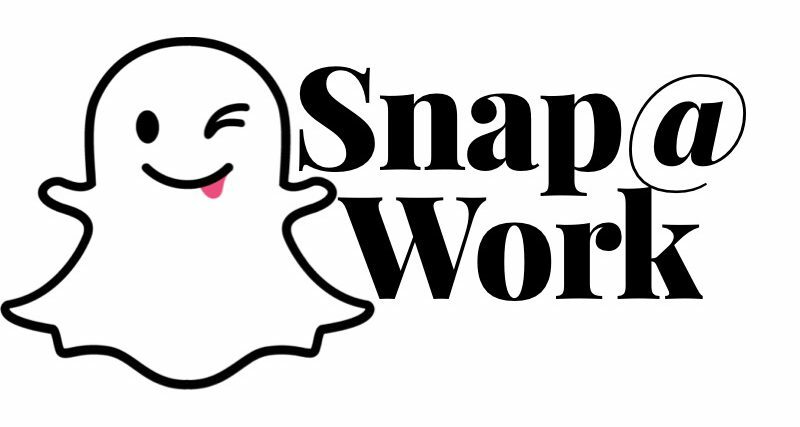 – Snap@Work: 1-Stop-Shop for all of your Snapchat Needs! Have you seen all the Snapchat craze lately? Don’t really understand what all the fuss is about? Haven’t put the platform to use yet for building your business? Don’t know where to start or how to realy use Snapchat, or effectively use it as a tool or resource for leverage? Announcing the arrival of Snap@Work – An Exclusive portal designed around SNAPCHAT for BUSINESS! Live & digitally hosted training classes, video & e-book library. We’ve lined up a variety of products, services, & merchandise easily found all together. Just one easy click away is our motto as we aim to simplify social media because being social should be simple! Continuously building a growing talent pool of industry leaders as a resource portal for any local professional community, to easily find accurate information, relatable strategies and practical advice for any growing professional to easily implement and make an actual impact with. The digital transformation is moving faster than traditional companies can manage talent retainment. The early adopters are the first to take the risk, but the reward is well worth the challenge especially for a competitive advantage. Snap@Work is brought to you thru SOCIAL iMPACT BRANDING, a division of SoPac, Inc. The FUTURE of the RELATIONSHIP ECONOMY! Training material available in multiple options including live-streaming courses, video modules, on-site workshops, and e-learning materials all in one platform. You will be integrated into one of the most uncharted & widely used areas found in the MASSIVE amount of professional networking systems. Whether you’ve never snapped before or you been snap chatting with your buddies for years these courses for make it easy to understand HOW to navigate thru social data analysis and build RELATIONSHIPS across industries globally that actually bring VALUE to the table. Snapchat is here to stay my friends & whether your in B2B or B2C: if the main TARGET MARKET of consumers are under the age of 35 … YOU NEED TO BE ON SNAPCHAT!! Join the 2nd most used APP with over 10 billion snaps happening daily to CAPTURE the consumers attention & stay AHEAD OF THE CURVE with networking and QUALITY engagement directly to leads. This is a minor financial investment when you look at the massive impact a long term ROI will do for the future of the business, and possible opportunities, far outweighs the risk when the result has a 2X, 5X or even 10x gain from where your at now. Click onto the shop and take advantage of one, a couple, or all of these LIFE changing programs!! Time is a ticking & there’s no time like present so SIGN UP NOW and let’s broaden the horizon with some fresh strategies and next-generation style thinking… See you soon! SoPac, Inc. is now offering the chance for TRUE ADVANCEMENT within your digitally social career. Snap@Work is your 1-Stop-Shop for all your Snapchat for Business Needs! She definitely knows her stuff! When I was new to Snapchat, she graciously let me take over her channel to help build a following. I appreciate all of her social media marketing insight and strategic tips. Don’t hesitate. Add Ashley now! Feel like your marketing dollars aren’t going far enough? Let Ashley show you how PROFITABLE social media marketing can be. Ashley is great at marketing and very professional to deal with. I highly recommend her and her services.